1.What is the benefit of my pet wearing a Baltic Amber necklace? Amber is 100% natural, and is said to repel ticks and fleas! Also, Baltic Amber contains a high level of Succinic Acid, which is said to have calming, pain-relieving, and anti-inflammatory properties. 2. Are Baltic Amber Pet Necklaces made for cats or dogs? Both! Baltic Amber pet necklaces come in a variety of sizes. We currently have a number of sizes in stock at SparkofAmber.com. We also have pictures of these beautiful pet Amber necklaces on our Facebook page. 3. 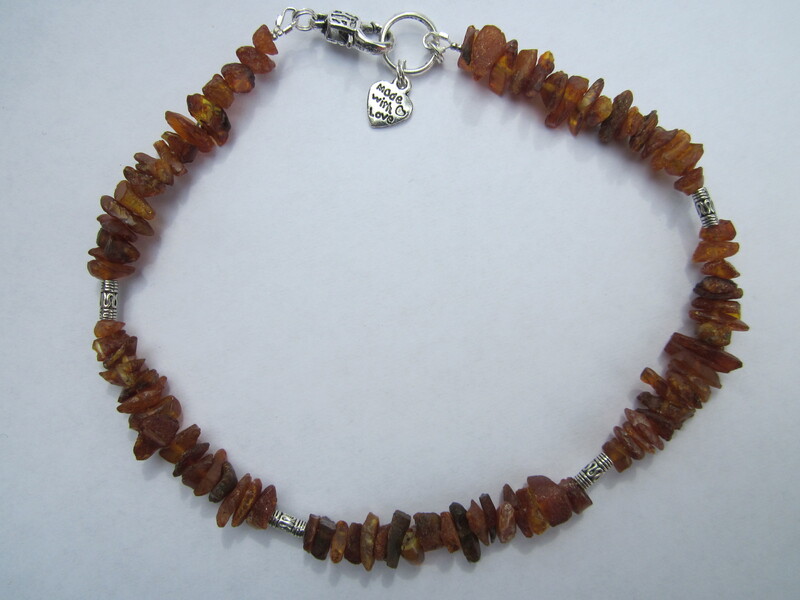 How Should Baltic Amber Pet necklaces be worn? These are not restraining devices. They should be worn for their unique beauty. These are not meant to be worn for rough play or running through the woods. 4. Of what type of Baltic Amber are the “Furry Friends” Pet necklaces constructed? Baltic Amber pet necklaces from Spark of Amber are made of beautiful raw amber. Raw amber is said to have higher levels of Succinic Acid, so our pet necklaces are ONLY made from the raw Baltic Amber. I am happy to be able to offer these remarkable pet necklaces for those of you with cats and dogs. They are available now for purchase through our online store at SparkofAmber.com and on Facebook. This entry was posted in Baltic Amber Jewelry, Baltic Amber Pet Necklaces, Benefits of Baltic Amber, SparkofAmber News, Special Offers at SparkofAmber and tagged amber cat collar, amber cat necklace, amber dog collar, amber dog necklace, amber pet collar, amber pet necklace, baltic amber jewelry, baltic amber pet collars, baltic amber pet necklaces, natural amber pet collar, natural flea repellant for dogs, natural tick repellant for dogs. Bookmark the permalink. Can these amber dog collars be worn together with a magnetic dog collar? Or would one detract from the other. I have friends that recommend both so if my GSD would benefit from both I wouldn’t hesitate to buy one. Yes! Amber collars and magnetic collars should work fine together.